What is Sasquatch? Thousands of people believe in it. Hundreds say they have seen it. But the mystery of Sasquatch has not been solved . . .Sasquatch, also known as Bigfoot, is a cryptid—a creature of cryptozoology. Cryptozoology is the study of creatures not recognized by traditional science, and it is the quest to understand things that cannot be proven via ordinary channels. Kelly Milner Halls interviews cryptozoologists, linguistics experts, anthropologists, biologists, and regular people like us who have seen, heard, or maybe stumbled across evidence leading them to believe that Sasquatch is real. Serious Sasquatch seekers are as skeptical as unbelievers. They are not out to collect great stories. They are out to put together facts. The difference is, they are willing to keep an open mind. Do you believe in Sasquatch? "Could Sasquatch be real? Kelly Milner Halls takes a scientific approach, looking throughout history, anthropology, and globally at all the information collected that may suggest that Sasquatch is a possible link between apes and humans. So many people from so many different cultures all over the world have described a creature so similarly it is hard to just dismiss as a story. Children’s minds are generally more open to wonder and exploration of things that are not easily explained. Halls gives children a framework to study these subjects objectively without fear. Suggested for grades 5-8." "Who can resist a great story about an animal? Whether imaginary, prehistoric or the more familiar four-legged variety, animals have a perennial appeal to children and adults alike. In addition to being fun and engaging, stories about animals can provide young readers with the opportunity to connect reading with the world around them. As legend has it, the Sasquatch is a manlike woodland creature that lives in North America. "In Search of Sasquatch" (Houghton Mifflin Harcourt, $16.99, age 9 and up) by Kelly Milner Halls, compiles the history of Sasquatch folklore. With a straightforward text, sketches and photographs, Ms. Halls' new book chronicles both the lore and the (often suspect) scientific proof of the creature's existence. According to the experts at the Bigfoot Field Researchers Organization (yes, there really is such an organization) there have been 93 official Sasquatch sightings in Pennsylvania alone. Evidence for the existence of this creature is spotty at best, but this book might make a Bigfoot believer out of you -- or at least offer some off-beat entertainment. Some of the tips given for tracking a Bigfoot are looking for giant footprints and broken branches that have been turned upward. So consider taking a walk in the woods to look for clues. Who knows, during a stroll in Frick Park, you might witness the 94th official sighting." "The idea that hairy, ape-like creatures roam the wildernesses of the world has gripped the public imagination since the 1950s, though the legend of Bigfoot—or Sasquatch or Yeti—goes back centuries earlier. As Kelly Milner Halls explains in "In Search of Sasquatch" (Houghton Mifflin, 45 pages, $16.99), these enigmatic animals have inspired amateur "Squatchers" as well as a small cadre of anthropologists. Also known as "cryptozoologists" for their dedication to documenting the so-far undocumented, these men and women hope to collect evidence "that might prove Sasquatch is more than a figment of any person's imagination." Their efforts include taking plaster casts of large humanoid footprints, seeding forests with motion sensor cameras and cataloging the mysterious woodland dens that resemble the nests built by another hairy forest dweller, the orangutan. That hucksters and hoaxers have enjoyed playing on the Sasquatch legend only seems to add to the fun of the hunt. Illustrated with photographs and rather simplistic drawings, "In Search of Sasquatch" is not a beautiful book, but what it lacks in aesthetics it makes up with quixotic charm." prevail. Suggested readings, source notes, and a glossary fill out the back matter. "Halls, a Spokane resident, delivers a lively combination of words and text chronicling her survey of the evidence for and against Bigfoot. Full of photos, drawings, archival images and other resources for would-be Sasquatch hunters." A true believer presents the evidence. Expanding on a partial chapter in her outstanding Tales of the Cryptids (2006), Halls makes her case by tallying Native American legends, the many footprints and reported sightings (a map of the latter claims hundreds from every state except Hawaii), the famous Patterson-Gimlin film, the recorded "Sierra Sounds" and other circumstantial evidence. She also interviews scientists and Sasquatch hunters, includes an account of early searches for Tibet's Yeti, adds the transcript of a panicky 911 call and even covers some proven hoaxes. She maintains a believer's voice, gently challenging refuseniks: "Serious Sasquatch hunters are as skeptical as unbelievers. They are not out to collect great stories. They are out to put together facts. Proof. The difference is, they are willing to keep an open mind." Illustrated with photos, drawings and archival images aplenty and closing with generous lists of print, Web and video resources this is about as convincing as it gets—considering the continuing absence of any incontrovertible physical proof—and should give young cryptid hunters a good hairy leg up on investigations of their own. "Fans of mythical creatures and mysteries will get a kick out of this book...an appealing individual reading experience, but the short chapters and lively narrative also make for an engaging read aloud, especially for groups of children transitioning to longer books...."
In Search of Sasquatch by Kelly Milner Halls. Kelly does terrific nonfiction for kids - she has a conversational writing style that keeps 'em reading, but she never lets informality get in the way of accuracy. She also respects her readers enough to give them actual quotes from grown-up scientists, not dumbed-down paraphrases - a practice that consistently pisses me off when reading children's nonfiction. "Leave it to Halls to make you think just a little differently about your worldview. After reading In Search of Sasquatch, I can’t say that I’m packing to go on a Sasquatch search expedition, but I’m willing to entertain the notion that it may very well exist. " "In Search of Sasquatch is an engaging work of non-fiction. The book examines the stories of Sasquatch over the years and compiles the evidence (both anecdotal and scientific) in one slick volume. Fascinating facts about Sasquatch and background on how that information was obtained will keep readers turning the pages of this well put together book and begging their parents to add plaster of paris to their weekly shopping list!" "Award-winning author Kelly Milner Halls adds to her repertoire of fascinating topics with this latest entry showcasing the legendary Sasquatch. This treasure trove is packed with the most up-to-date information and includes spine-tingling eyewitness accounts and revealing interviews with experts. Readers will be mesmerized but may choose to peruse this enlightening work about the mysterious ape-like creature during the light of day." COOL READ: I will confess that more than once I have wondered into the topic of cryptozoology and wondered just how much of it was true. Having grown up on the possibility of the Loch Ness monster (and still bummed that the picture was faked), I have a soft spot for what might be out there, somewhere, that we haven't found yet. (The whole coelacanth discovery keeps all of us wondering what we have missed.) 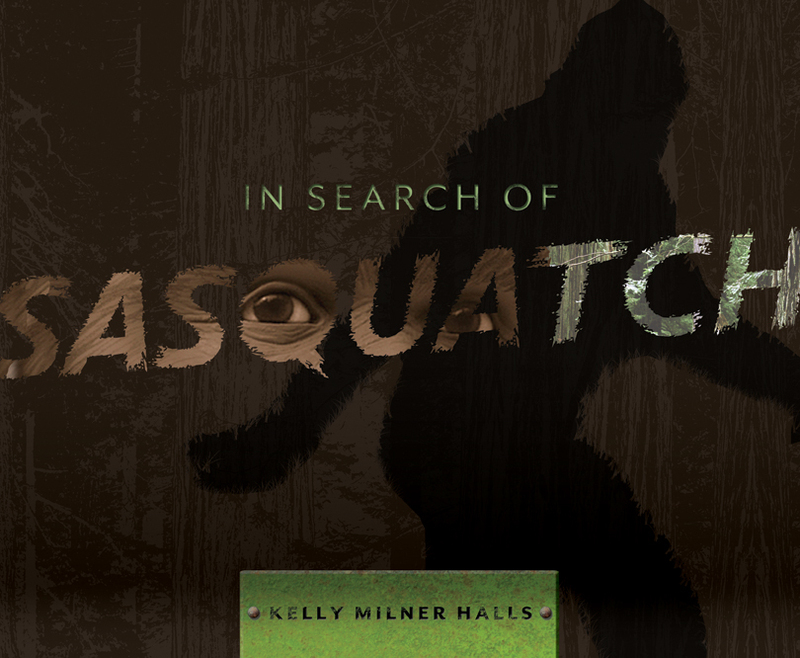 Author Kelly Milner Halls dives headfirst into the mother of all cryptid legends with her latest title, In Search of Sasquatch. With full color pictures of footprints, ancient artifacts and a still from the infamous Patterson-Gimlin film, she keeps readers turning the pages and meeting the people who believe. What's nice is that so many of these people are scientists or professionals in their respective fields (for example Hollywood special effects expert Bill Munns talks about why he believes the film is not a hoax) and Halls interviews them in the same way you would address a more mundane topic like bees or whales. She makes a believer out of her readers not by insisting the Sasquatch is real but by presenting enough evidence that you start to wonder how you ever doubted. In Search of Sasquatch is a fun, thoughtful and exceedingly well designed title that will appeal beyond its middle grade audience. Reluctant teen readers will especially enjoy this one as they start to question their own preconceived notions about what the woods are hiding and how they might contribute to its discovery. 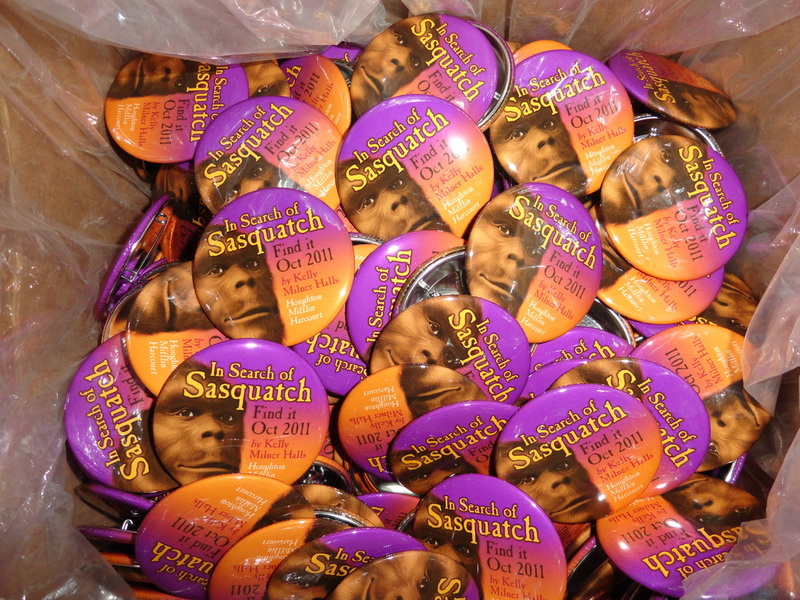 "I read Sasquatch last night and loved it! My favorite story was Jimmy Stewart's wife smuggling the Yeti finger out of Europe in her underwear! I liked the mix of material and the different aspects of Sasquatch that you included...very kid-appealing! Monsters are one of the coolest topics out there, and Sasquatch in particular. In Search of Sasquatch is the perfect mix of exploring the historical and scientific facts, as well as the myths, about Sasquatch and whether he could be real, without closing the door to possibilities. And isn't that what science is all about?" Kelly Milnar Halls' forthcoming In Search of Sasquatch: An Exercise in Zoological Evidence (Houghton Mifflin, 2011) takes another shot at the Bigfoot mystery, one which has intrigued, frustrated, and entertained Americans for over half a century. Hall succinctly summarizes the history of the Sasquatch phenomenon in a chapter augmented by a map showing the number of sightings around North America, photos of apelike stone heads made by pre-Columbian Indians, baskets with designs of giant apelike figures woven in the Southwest, and a table showing tribes, from Cherokee to Zuni.the tribal name for the Bigfoot creature, and its English translation. She then recounts the stories of early and recent Bigfoot hunters, with photos of the castings taken of footprints over the years from huge adults to smaller juveniles, all amazingly similar. Hall deftly summarizes the evidence for and against the existence of the "real" Sasquatch, but insists that despite the lack of incontrovertible documentation, many scientists still believe that there is something out there. 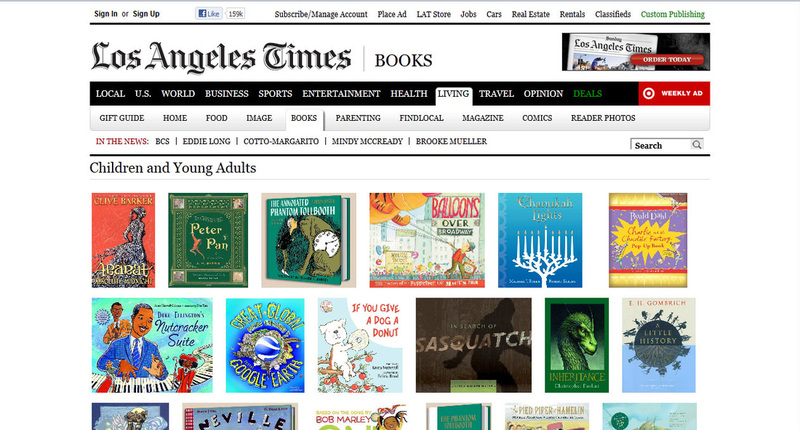 As you can see , to the right, IN SEARCH OF SASQUATCH has been nominated for the Golden State Book Award for 2014. I could not be more delighted. I haven't been nominated in NJ since TALES OF THE CRYPTIDS many years ago. So, win or lose, thank you, New Jersey. It means the world to me. 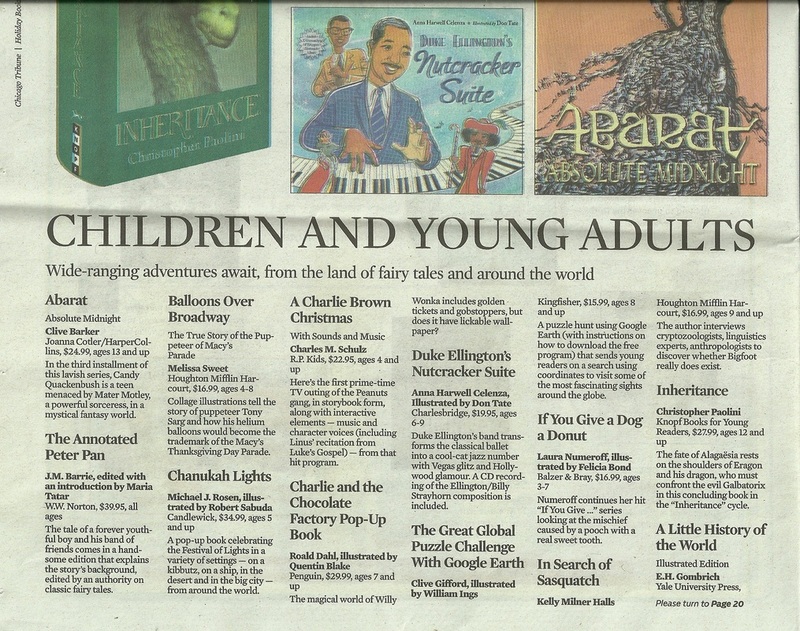 New Jersey librarians, if you want to celebrate THIS book, I sure would appreciate the votes. I'd even do Skypes with your kids if you think that would be fun! Washington state boasts the most Sasquatch sightings — 487, to be exact — so it seems right that a local author makes a case for the creature's existence in "In Search of Sasquatch" (Houghton Mifflin, 64 pp., $16.99, ages 10-13). Spokane author Kelly Milner Halls decided to focus on Bigfoot after working on 2006's "Tales of the Cryptids." She highlights Native American legends, interviews witnesses who claim to have seen Sasquatch and profiles a professor who studies footprints. Who better to bring a Sasquatch book than another mysterious visitor, Santa? Above is a rough sketch by Rick Spears that didn't make it into the final IN SEARCH OF SASQUATCH. He's checking out a motion sensor camera strapped to a tree. 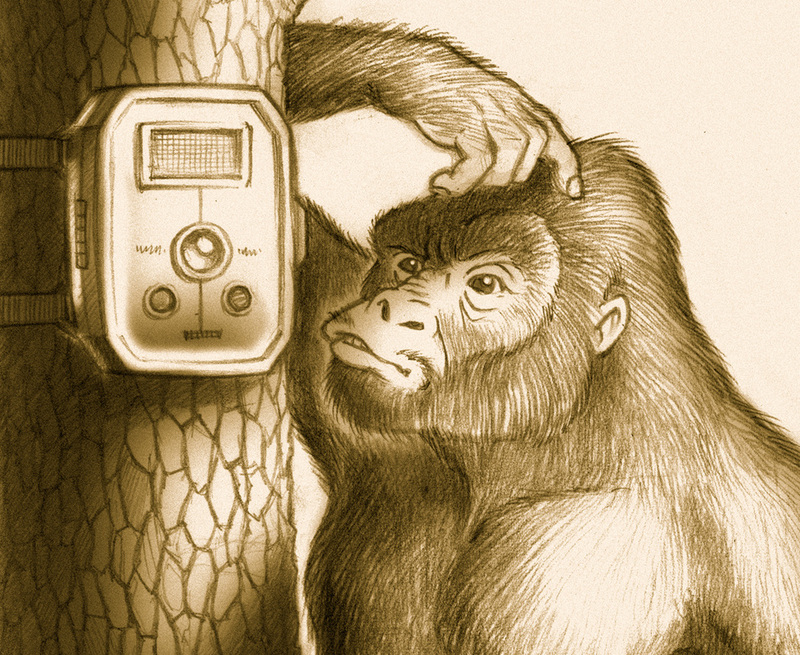 Rick decided to make the Sasquatches a little less gorilla-like for the rest of the illustrations, but I still love the expression on this guy's face. Bellow are the buttons Rick designed for me to help promote the book.